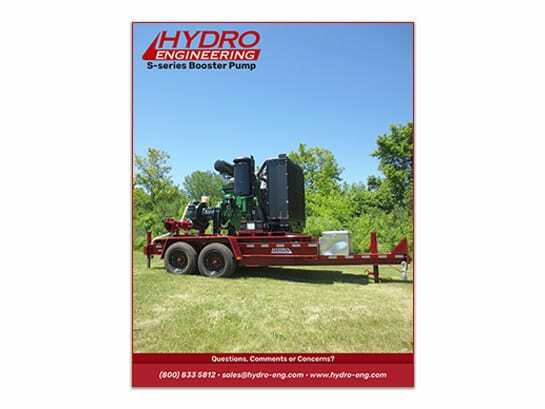 The Hydro S-Series booster pump starts with a unique trailer that has a built in fuel cell with the capacity of 270 – 300 Gallons. The “S” in S-Series stands for SAE pump, all of these boosters are built with SAE mounted pumps that are mounted directly to the engine saving you the cost of a clutch. Other standard features include running lights, fenders, mudflaps and manual leveling jacks. Optional features include engine hood, oversized radiator, HID spot lights, and residential muffler.